All deliveries are carried out by third party services/companies. These will be listed as Delivered as Small Parcel item, Delivered as Medium Parcel item and Delivered as Large Parcel item. The deliveries are mostly provided by UPS. Occasionally, we use other couriers such as DPD, MyHermes and XDP. 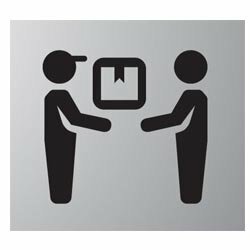 The deliveries can include Medium to Large items as well as small items if they are available to be delivered with these networks. Deliveries are NOT made inside the property with this option. Tracking will be provided with these items. You can find out more about UPS. This is one of our most common delivery services for bulky & fragile furniture. A more personal delivery service, specialising in small to extra large items. Deliveries booked in using text if applicable beforehand. 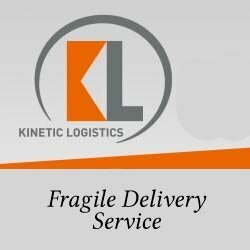 You find out more about Kinetic Logistics . This service is often used by a manual moving delivery service and doesn’t use automated sorting networks. Often used on large and fragile items and delivered as part of other deliveries in your area by the specialised team. 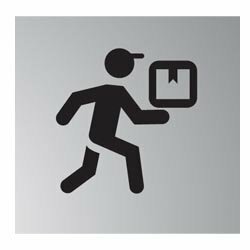 * We reserve the right to choose an alternative courier if the item is covered by our free delivery offer. We cannot be liable for using an alternative delivery method and in the instance that the alternative delivery method is vastly different we will notify you before dispatching the item. ** Surcharges apply for alternative deliveries such as Saturday Delivery.